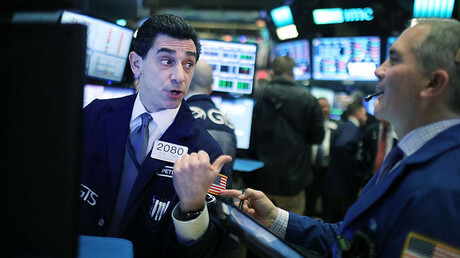 Investor optimism over increased corporate profits as well as faster US economic growth under President Trump has seen the value of stocks listed on the S&P 500 Index soar to the never-seen level of $20 trillion on Monday. According to S&P Dow Jones Indices, the index that tracks the biggest American corporations has gained almost 25 percent over the past year increasing its market value by $3.6 trillion. Nearly two-fifth of the growth followed the victory of Donald Trump in November. Some of the steps he promised to take during his presidential campaign, including tax cuts, regulatory relief as well as government spending aimed at bolstering inflation and boosting corporate sales have encouraged traders. “For the first time, we have a confluence of factors that is finally resurrecting the animal spirit,” said Jim Paulsen, chief investment strategist at Wells Fargo Capital Management, as quoted by FT.
One bank sees the S&P500, which closed at 2,328.25 points on Monday, rising much higher. The benchmark index will rally to 3,000 by 2019 on its way to hit 5,000 by 2024 from the current record level, according to a bold forecast made by Stephen Suttmeier, technical research analyst at Bank of America Merrill Lynch. 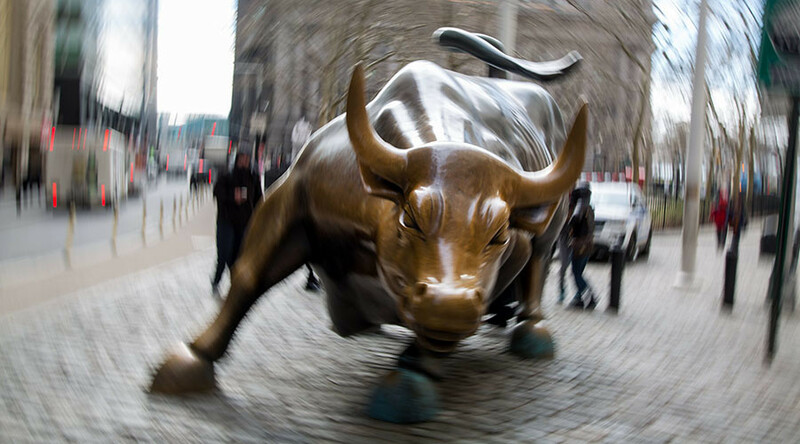 “The secular bull market roadmap says that the best days are ahead. We believe that 2017 is the year of acceptance for the secular bull trend that began on the April 2013 upside breakout,” the analyst said, as quoted by MarketWatch. The bright prospect for the index has been accompanied by new records for the tech-heavy Nasdaq Composite, the blue-chip Dow Jones Industrial Average as well as the small-cap Russell 2000. The Nasdaq has gained seven percent so far this year, outperforming the S&P 500’s four percent growth and the Dow's 3.3 percent gain. All three indices finished last month sharply higher. At the same time, Bank of America Merrill Lynch’s high-yield corporate bond index is recovering following the last year slump. This reportedly signals further stock market gains. All major US stock indices closed at record highs for a third consecutive session on Monday. The Dow Jones Industrial Average gained 0.7 percent and finished at 20,412. The S&P 500 rose 0.5 percent, ending at 2,328. The Nasdaq Composite Index, grew 0.5 percent and closed at 5,763.